In one night, Spokane Valley's roadmap was discarded. Where to now? The future of Sprague Avenue is unclear. This is how plans to remake a city die: Six years of brainstorming, planning and buildup nixed by an economic crash and a whiplash swing in political power. At the Spokane Valley City Council meeting on Oct. 26, the council drove two stakes through the heart of a major part of the city’s master plan, known as the Sprague Appleway Revitalization Plan. The SARP was a roadmap for the next 30 years in Spokane Valley. The plan was to switch a one-mile stretch of the one-way Sprague Avenue to a two-way street, create a downtown in the University City area through zoning regulations and the construction of a city hall, and issue a smattering of aesthetic regulations along the corridor. Developing the plan took six years and cost $1 million in consultant fees alone. But the zoning regulations took effect just in time for last year’s election, which resulted in a council filled with five members of the “Positive Change” contingent who publicly campaigned against the SARP. During the Oct. 26 meeting, the council voted, 5-2, to pass an emergency Comprehensive Plan amendment to convert the entire “city center” zone into a broader “mixed use” zone. And they voted, 5-2, to recommend to the Planning Commission the complete elimination of the SARP. The zoning will return to what it was six years ago. 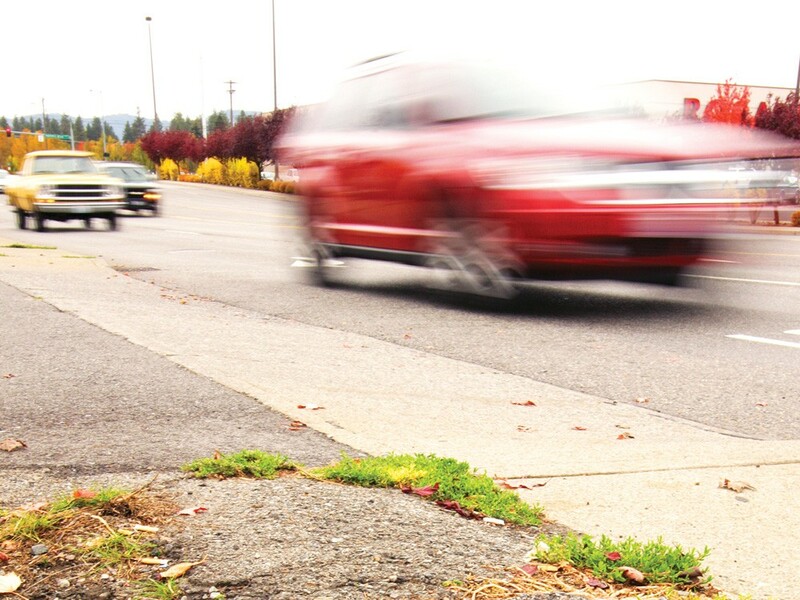 Whether the mile-long section of Sprague will remain a one-way is still under discussion. Six years ago, there was plenty of public support for most aspects of the SARP. In 2004, a survey from Clearwater Research found 74 percent of residents believed Spokane Valley did not have a community identity. The same survey found 61 percent thought having a downtown was important to the future of the Valley, and 75 percent supported using public money to create a city center. Just over half — 52 percent — suggested University City as an ideal location, more than double the number for any other choice. Back then, the city was struggling. Between 2000 and 2008, says former Mayor Rich Munson, property values on Sprague plummeted 30 percent. Vacancies increased to 60 percent — and that was before the recession. Once the stricter SARP zoning was implemented, many businesses complained their choices for building usage were being curtailed. There have been seven zoning meetings since May, Grassel says, with most businesses advocating against the zones. The Spokane Valley Business Association may have supported it, Grassel says, but their leaders have businesses close to the proposed city center. Councilwoman Rose Dempsey says the Valley had been nearing an agreement with University City owner Jim Magnuson to purchase land for a city hall last year. But Magnuson, who was supposed to benefit from the center, recently requested to eliminate the city center zoning. In September, Magnuson wrote a letter to Mayor Tom Towey, explaining he wanted to sell part of University City to the Pring Corporation. Pring wanted to build a car dealership, but the zoning wouldn’t allow it. If there’s a car lot in the middle of University City, counters Councilman Bill Gothmann, it can’t be a city center. “A city center should be walkable,” he says. Councilman Dean Grafos, who takes a more laissez-faire view of city planning, says the area between Pines and Sullivan roads has organically emerged as the new city center. That’s where the economic hub of the Valley is — that’s where the CenterPlace event facility and the new Discovery Park are located. But Dempsey isn’t convinced. “That’s off on the edge of the city,” Dempsey says. “How can that possibly be a city center?” In the meantime, former Mayor Rich Munson says he suspects the new city council is intentionally trying to sabotage the city’s health. “I’m concerned that we’re looking at a concentrated effort to end the life of the city,” Munson says. Then, he thinks, comes disincorporation — something advocated by some Spokane Valley residents ever since it was incorporated. Grassel, however, says the elimination of the SARP will allow businesses to thrive and allow the city to pursue less “heavy-handed” methods of economic growth, like building a sports complex.